Important Policy Updates from 24th November, 2017 – 30th November, 2017. Since the launch of Pradhan Mantri Awas Yojana (Urban), in June,2015, 30.76 lakh houses have been sanctioned, of which, about 4.13 lakh houses have been constructed, and 15.65 lakh houses are currently at various stages of construction. A national workshop was also held on PMAY (Urban) and Swachh Bharat Mission (Urban), where reforms such as stamp duty exemption and single window clearance were highlighted. As a step towards achieving a New India by 2022, the Government has identified 115 backward districts to make rapid changes in. A senior officer will be appointed in these districts, of the Additional Secretary and Joint Secretary level, who will be responsible for bringing about this transformation, by apprising the district administration of the mission and by keeping a tab on scheme implementation and monitoring reforms. Of the districts selected, some have been affected by violent extremism, some by leftist extremism, and some from Jammu and Kashmir and the North East. The President of India inaugurated housing complexes for the economically weaker sections under the Basic Services to Urban Poor (BSUP) scheme. 1096 dwelling units are slated to come up in four locations of the State, at a total cost of Rs. 91.01 crore. The Sealdah-New Delhi Rajdhani Express is the first long-distance train to have been upgraded to the intended ‘Gold Standards’ under the Railways’ Operation Swarn. The program seeks to upgrade approximately 15 Rajdhani and 15 Shatabdi trains, at a total cost of around Rs. 25 crore. 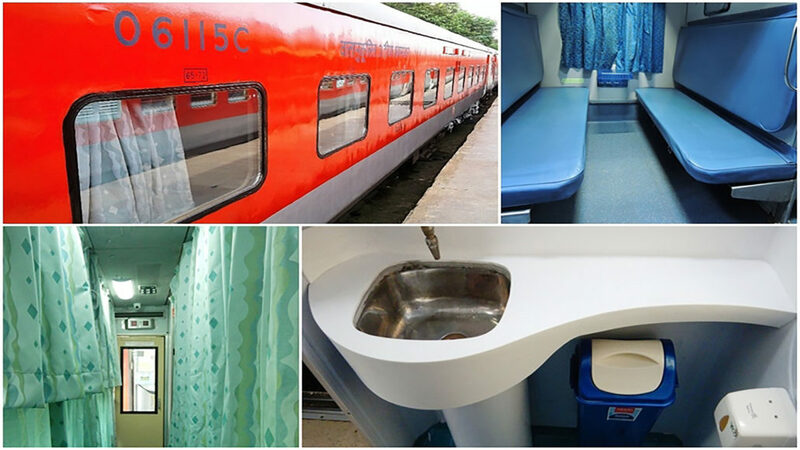 The facilities include LED lighting,vinyl wrapping on toilet doors, CCTVs installed around the doors and aisle areas, night signage, and revamped berths and other facilities for additional passenger convenience. The National Skill Development Council, Tourism and Hospitality Sector Skill Council and Airbnb have signed an agreement to assist and empower micro entrepreneurs in the hospitality sector. They aim to create a skill development module for entrepreneurs, along with accommodation facilities. This step will provide a boost to the Skill India Mission as global best practices will be sought to be emulated across the sector. The Pradhan Mantri Sahaj Bijli Har Ghar Yojana (Saubhagya) was launched in Manipur. The scheme seeks to achieve universal household electrification in all parts of the country. The total amount spent on this scheme is close to 16,320 crore, which includes a huge amount of budgetary support as well. The Higher Education Funding Agency has approved projects worth Rs. 2066.73 crore. In the first phase, the IITs at Bombay, Delhi, Madras, Kharagpur, Kanpur and the NIT at Surathkal have been selected. This funding will aid in developing the research infrastructure of these institutions. The funds raised under HEFA will be provided to institutions in addition to the grants provided by the Government. From a three- year low of 5.7%, India’s GDP in the second quarter has increased to 6.3%. At constant prices, the GDP has been estimated at 31.66 lakh crore, as opposed to 29.79 lakh crore in the second quarter of 2016-17. Sectors such as manufacturing, electricity, water supply, gas and other utility services have registered a growth of over 6 percent. The 8th edition of the Global Entrepreneurship Summit was launched in Hyderabad, for the first time in South Asia, with the theme, ‘Women First, Prosperity for All’. People from across the world were present at this event, where Prime Minister Narendra Modi urged entrepreneurs to invest in India and the summit’s major focus was enabling support for women entrepreneurs and fostering global economic growth. Sessions and workshops to exchange entrepreneurial ideas, network and consultation were also organised. An intensive training program has been launched by the Minister for Women and Child Development, to train elected women representatives of the Panchayati Raj Institutions. They aim to train approximately 20,000 representatives, selecting nearly 50 from each district. The training is aimed at ensuring that women effectively perform their role as elected representatives. The Ministry of Tourism, along with the North Eastern States, has organised the 6th edition of the International Tourism Mart, in Guwahati, with the aim to bolster tourism in the North Eastern Region. Discussions on promotion of cultural ties with the ASEAN region will be held, beside providing a platform for the tourism fraternity and entrepreneurs from the north Eastern States to interact with buyers, media, government agencies and stakeholders in this field. The 3-day India- Afghan Cultural Festival was inaugurated by the Minister of State for Culture and his counterpart from Afghanistan. The festival will focus on shared values and cultural commonalities of the two countries, along with exhibitions of art, handicrafts and music.